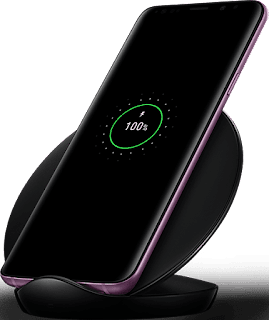 The Pre-ordering of the Samsung Galaxy S9/S9+ which was announced few weeks ago has begun and 9mobile just like other network providers is giving its users the chance to preorder the device coupled with attractive offers. The Pre-order of Samsung Galaxy S9 and S9 Plus is available via 9Mobile eshop and it also comes with a couple of exciting new offers. According to the information posted on the 9Mobile social media page, you will be given 2GB free instant data, 12 months 100% double Data and a free wireless charger stand when you Pre-order any of the two devices. Below is the list of things you stand to gain if you pre-order the Samsung Galaxy S9/S9+ through 9mobile. >> 100% data bonus for good 12months. >> The Samsung Galaxy S9 goes for N285,000 while the Galaxy S9+ sales N320,000.